This was £1.99 yesterday. Even more of a bargain today. I think this code may be for new accounts only, but others say it is not. Is fifa 19 included on this? That's poo. Is there a list of what is included? New accounts only? Bit pants that. 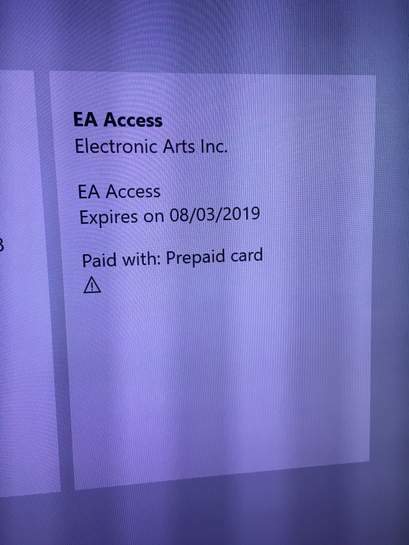 You get 10hrs free Fifa 19. Limited progress on the single player story mode but everything else is full fat. Why do you believe that it's for new accounts only? The one posted yesterday said it was. I can't see anything that states that these codes are for new accounts. Found an old deal and it looks like these codes stack. 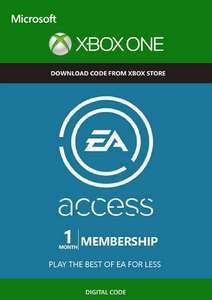 I had EA access before on my account. Just bought two codes from CD key and can confirm it is not just for new accounts and can be stacked as both codes worked a treat.